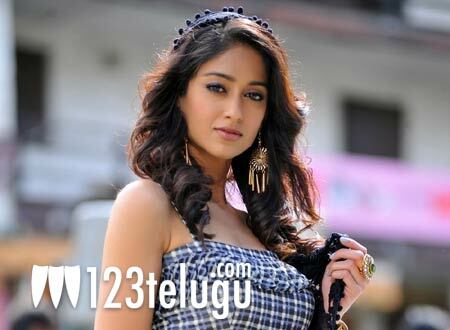 Ileana has already seen highs and lows in her career, which started with a bang post the success of Devdas and Pokiri. She was ruling the roost till couple of years ago and then suddenly nothing seemed to work in her favour. Some of her recent films bombed at box office and on top of that actresses like Kajal, Samantha and Tamannaah bagged most of the big budget projects. Moreover, she was being criticized for losing a lot of weight; however, all that might change if two of her upcoming films click at box office. First, she’ll be seen in Trivikram Srinivas’ Julaayi which is hitting the screens on July 13. A week later, Puri Jagannadh’s Devudu Chesina Manushulu will release in theatres. She looked ravishing in the first look of both the films and her fans would be waiting to see the actress who mesmerized them in films like Pokiri and Kick. After giving the audio launch of Julaayi a miss, she made it a point to attend the audio launch of Devudu Chesina Manushulu and she seemed to be totally at ease. She has already worked with Puri Jagannadh in Pokiri and with Ravi Teja in Khatarnak and Kick. Will lady luck finally smile on her? Lets wait and watch.